Very central and quiet apartment on the third floor. Bedroom with two single or one double bed and mezzanine with single bed, with ladder access from the bedroom. Fully equipped kitchen (fridge, freezer, microwave, oven and griddle). Bathroom with sink, shower and toilet. My friend and I really enjoyed our stay in this beautiful, quiet, well-situated, tastefully decorated apartment. The apartment is close to nice restaurants and just a few minutes walk from a shopping street leading to the main squares and cathedral. The owner provided thorough instructions prior to our arrival and gave us local tips when we arrived. I would definitely stay here again. Excellent location, lots of useful extras. We loved our stay here. It’s such a beautiful place, very clean and in a great location. An is a great host, she picked us up from the train and was flexible with checkout times. She also had lots of great tips on where to go. She definitely goes above and beyond. Thanks for a great stay! We had a wonderful stay! My husband and I spent 5 nights and could have spent another week here. The apartment is located in an quiet upscale neighborhood minutes to sights, shops, cafes and restaurants. Tram to main train station is 2 minutes walk. The owner, An, has designed a modern space with every amenity. The well equipped kitchen has full size appliances. The skylights and lovely terrace allow natural light during the day and night sky viewing. An met us and provided all the information we needed to enjoy our stay in Ghent and nearby Brugge. We hope to return next year! 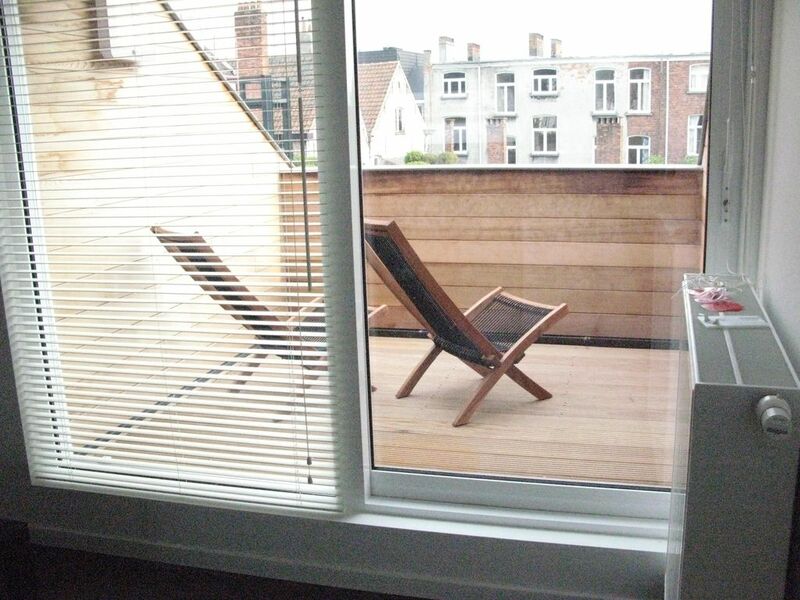 apartment in the center of Ghent.